Happy Kitchen Sink Stamps Monday! 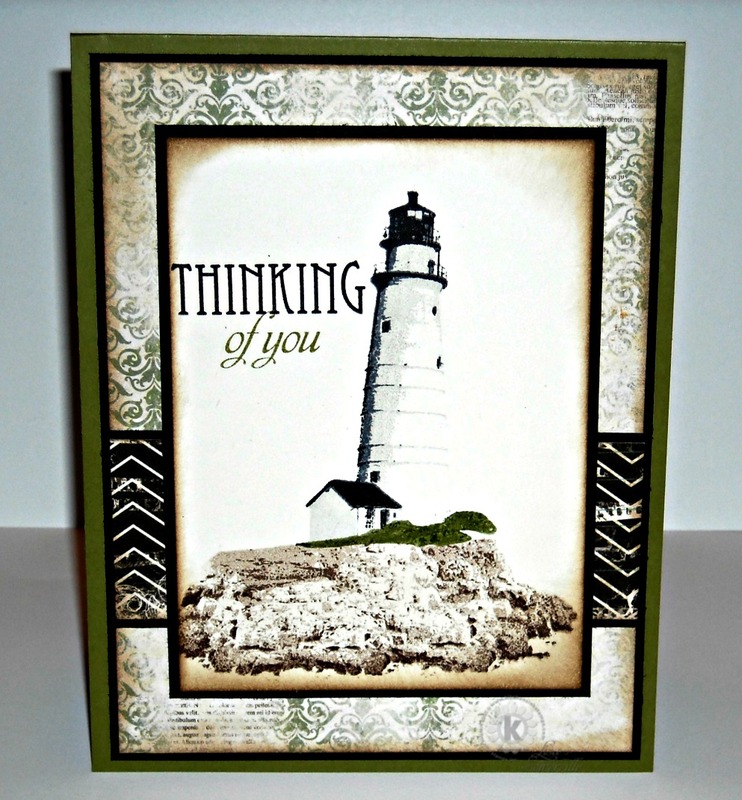 This weeks KSS card uses the new Multi Step Lighthouse, I love all things nautical, and when Maria asked the designers what set they'd like to see, I asked for a Lighthouse, and I love the sentiments she added to this set. Continue reading below to find out about Kitchen Sink Stamps annual 6 Months 'til the Holidays Sale! Can you believe Christmas is only 6 months away? It's never to early to start thinking about creating your Christmas cards, and with Kitchen Sink Stamps 6 Months 'til the Holidays Sale, you can save 20% on all your Kitchen Sink Stamps purchases. This one day only sale runs tomorrow, June 25th through midnight PDT, you'll also receive free shipping when you spend $65! Simply click here, or enter code GETREADY20LIS at checkout, remember this sale is for one day only - Tuesday June 25, 2013! Great card- I Love the lighthouse image- great image for a request! Beautiful card! Love that lighthouse. Love the depth in the scene you created. Beautiful card - love the lighthouse and that shabby wallpaper background is fab! Beautiful, beautiful work, Lisa! I am so in love with this wonderful set you requested, and I know I will be reaching for it often!